An Italian artist in New York. After the successes gathered in various European exhibitions. 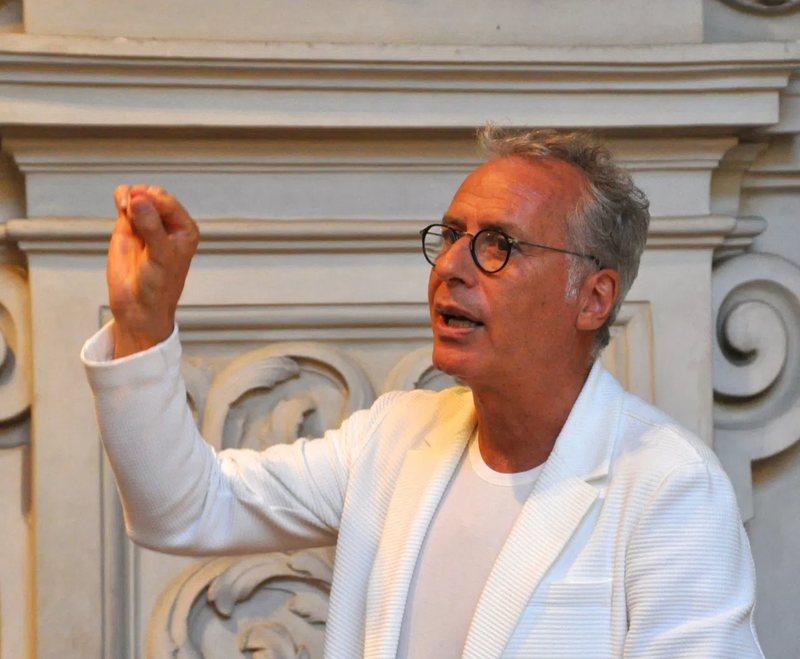 Invited by a famous Newyorker gallerist, Marini presents his personal in the big apple. “I met this artist in Florence in June 2015. 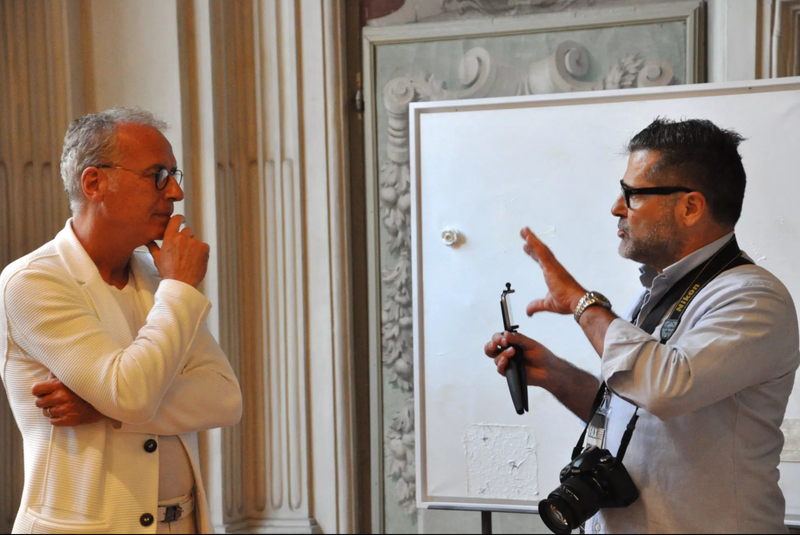 Invited by his press office at Palazzo Medici Riccardi Florence-Italy. I remember that i had a great impression on his way of communicating his art, because he often connects for a concepts to me are very dear, to the visual communication of advertising marketing and the philosophy of the ancient wisdom. 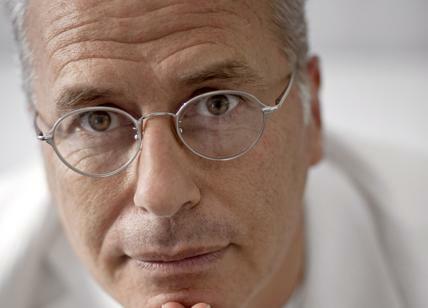 He influenced positively by his profession as creative director in the advertising world. Lorenzo Marini still has an artistic education of all respect, he attended the Academy of fine Arts in Padova , where he studied under the great Emilio Vedova. He never lost his passion for art, which led him to follow the footsteps of Victor Vasarely, Pino Pascali and, more recently, Hermann Nitsch, who all ran smoothly from advertising Visual art. 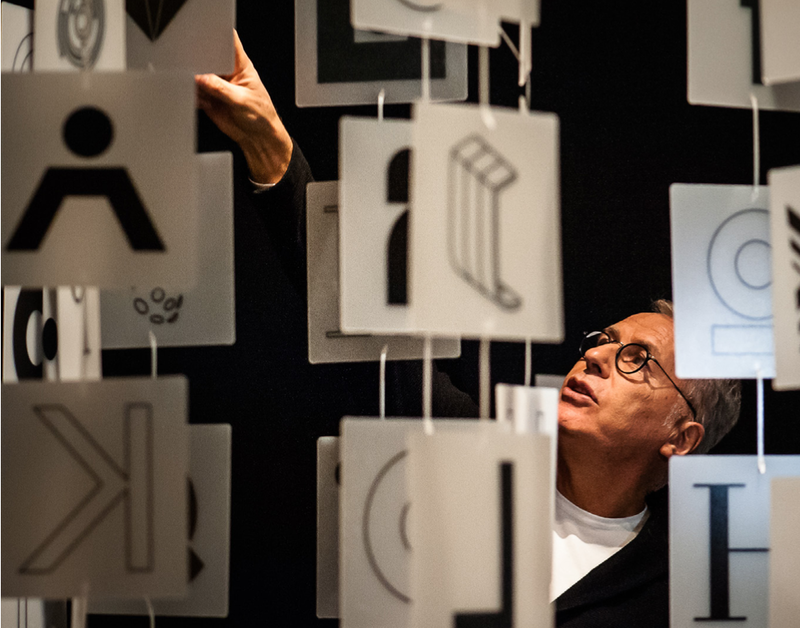 Last October his personal exhibition, Type Visual, on show for the entire month at the Palazzo della Permanente in Milan, Italy, was hailed by critics and collectors alike as one of the most innovative and interesting exhibitions of the season. Seven months on, Lorenzo Marini debuts with a personal exhibition, again dedicated to letters of the alphabet, in one of the most important American galleries: the Georges Bergès Gallery in New York, where the exhibition will run from 4 to 15 May. Bergès, one of the most highly esteemed international art dealers, decided to sponsor Marini after seeing the exhibition at the Palazzo della Permanente. Unlike the Milan exhibition, the one in New York will focus more on pop-art aspects, with livelier use of color. In addition to being in line with American tastes, this is in keeping with the great rediscovery of the School of Piazza del Popolo, which has featured prominently in recent auctions at Sotheby’s and Christie’s. For the US art market, Marini will become the Italian artist in the Bergès stable, which has only one artist per country. 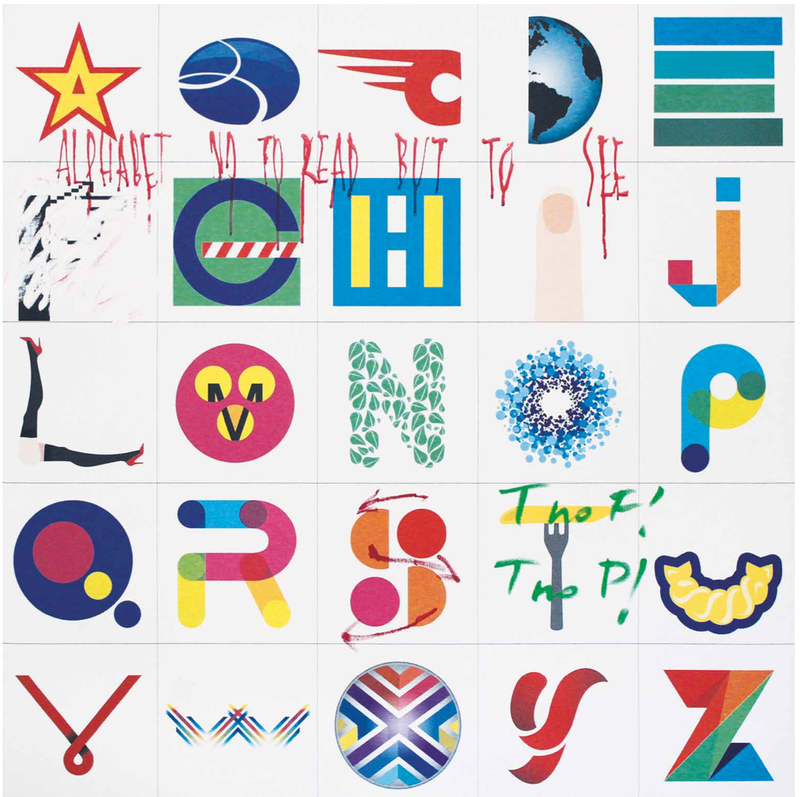 With the new pictorial study presented at the Palazzo della Permanente, Lorenzo Marini has started his very own artistic movement, which critics have christened ‘Type Art’ and which can be succinctly defined as celebration of the exploration of the alphabet and more specifically of fonts of graphic characters. This is an examination where signs are declined in all their forms. For example, the letters are interpreted in cursive and in print, in uppercase and in lowercase. This new movement is a strong proponent of the current tendency towards contamination, or the breaking down of barriers between different art forms. In Type Art, visual art converges with visual design, the aesthetic of comics and, naturally, the creativity of advertising, which finds its essence in the marriage of words and images. Marini’s attention to characters comes from his experience as a creative director in the advertising sector, an activity that led to his becoming one of the most highly regarded Italian art directors and to his founding of Lorenzo Marini Group, a creative communications company with offices worldwide. Before he worked as an art director, Marini attended the Academy of Fine Arts in Padua, where he studied under the great Emilio Vedova. He never lost his passion for art, which led him to follow in the footsteps of Victor Vasarely, Pino Pascali and, more recently, Hermann Nitsch, all of whom passed seamlessly from advertising to visual art. He unveiled his work 2014, after thirty years of creating in private, and in less than three years Marini has held personal exhibitions in major public venues including Oberdan in Milan, Palazzo Riccardi in Florence and Palazzo Zuckerman in Padua, and he has permanent exhibits at museums including the Museo dei Beni Culturali (Museum of Cultural Heritage) in Genoa. 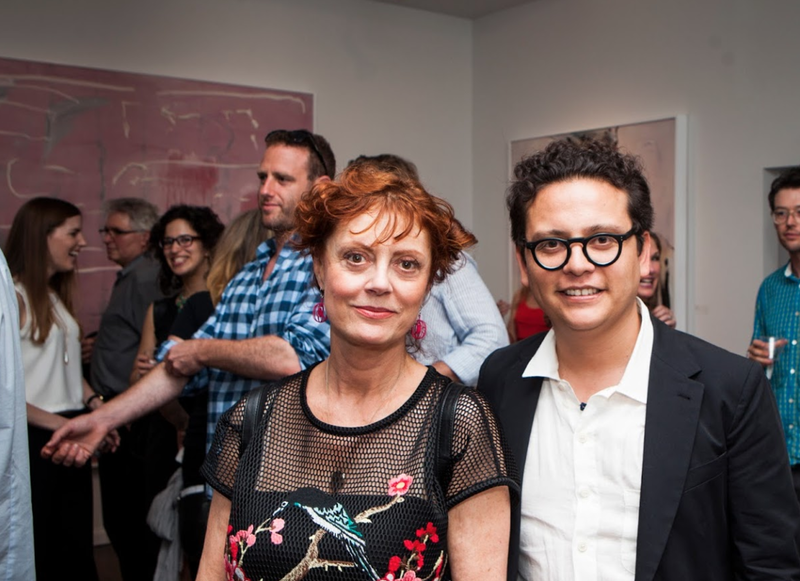 He has also had two exhibitions at Art Basel Miami, one of the most important art fairs.